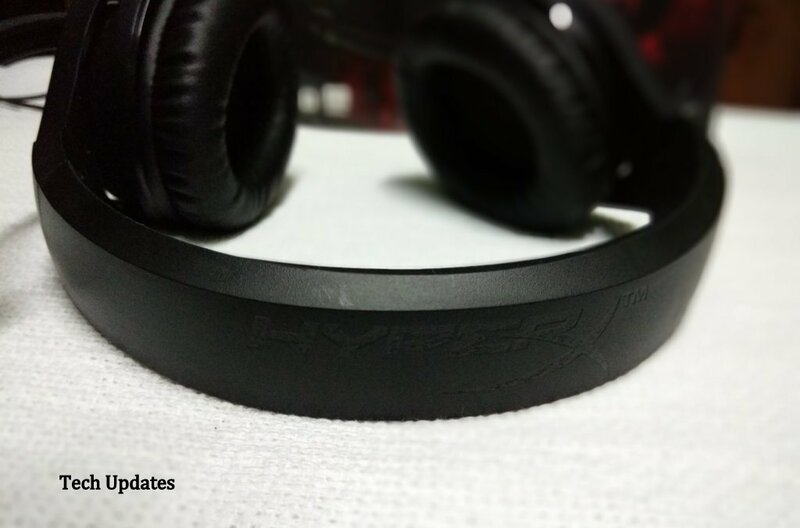 HyperX is known for their Gaming handsets. 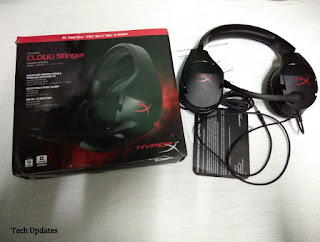 HyperX Cloud, HyperX Cloud II are popular gaming headset Now we have got HyperX Cloud Stinger Budget gaming headset which is priced at Rs 3699 let's find out is worth the price tag. 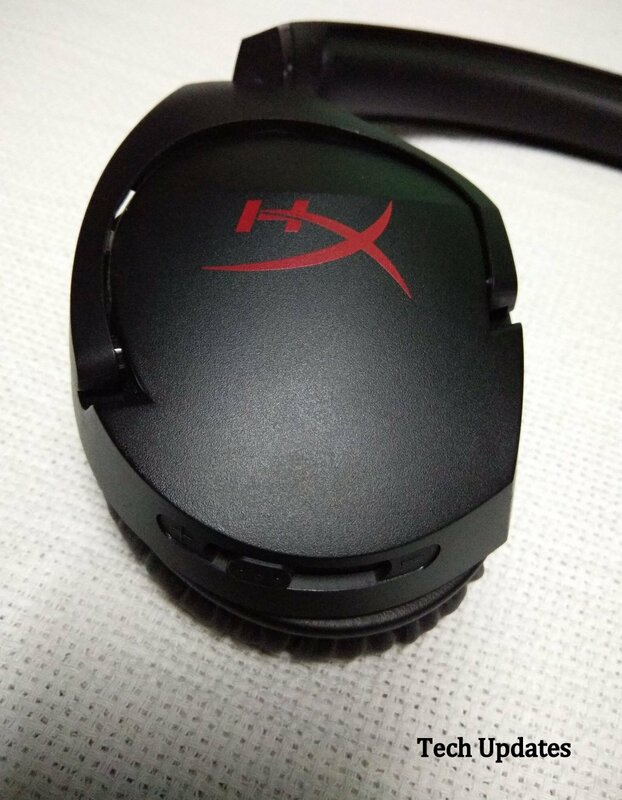 On Design HyperX Cloud Stinger comes in the all-Black color with slightly dark Red colored HyperX logo on each of the earcups. Left earcup has the swivel mic attached to it, the right one has the easily accessible volume slider on its bottom edge. The two ear cups are joined by a strong yet flexible plastic headband, the inner lining of which has soft foam padding to make wearing the headset over the head comfortable for extended amounts of time. 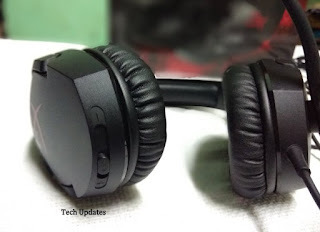 Both earcups come with adjustable steel sliders for getting the perfect fit over the head. 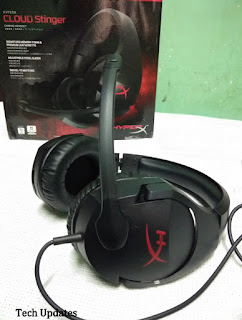 The swivel mic is quite flexible and can be easily adjusted to your face's curve for clearer audio input.Overall build design and build quality of the HyperX Cloud Stinger is good for the price it is available. HyperX Stinger has an inbuilt microphone, in-line volume controls, and 90-degree rotating cups.HyperX Cloud Stinger weighs just 275 grams. The lightweight headset includes 50mm directional drivers that are tilted to position sound directly into the ear, resulting in a broader and more accurate in-game sound. With 50mm large directional drivers, and a frequency response of 18Hz-23,000Hz with an impedance of 300hms. Producing great bass that never overwhelmed but added that much-needed depth to games. HyperX Cloud Stinger also offers a convenient set of features for gameplay, including a swivel to mute the microphone, an adjustable steel slider for long lasting durability, and volume controls on the headset.The mic works really well for in-game conversations with other players and its swivel to mute functionality can come in extremely handy when you need a quick pause. To use the mic, though, the included extension cable with stereo and mic plugs. 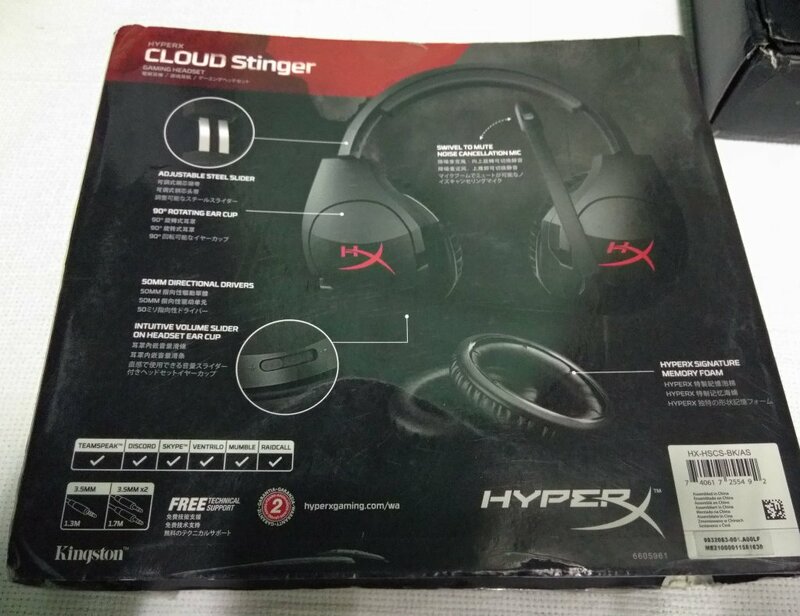 HyperX Cloud Stinger ensures crisp and clear audio to help gamers quickly locate rivals for gameplay advantage across platforms. 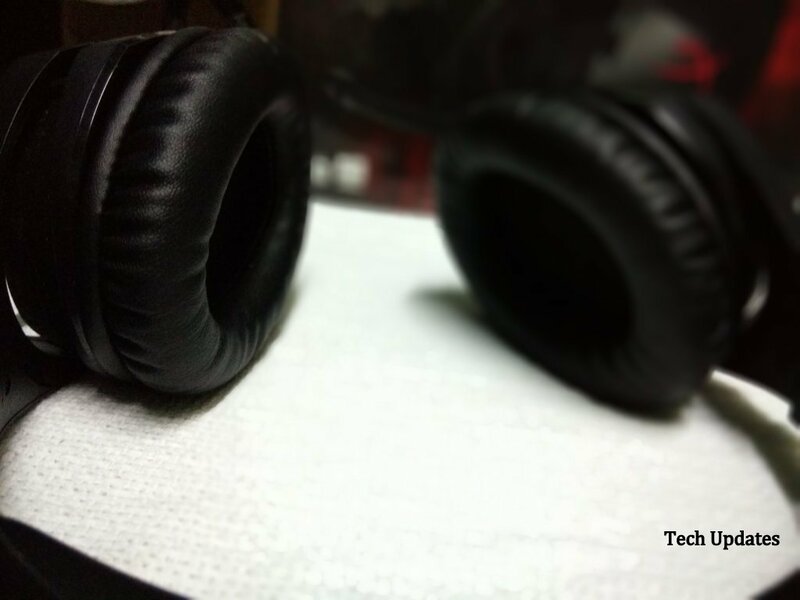 The only disadvantage is Mic cannot be removed. 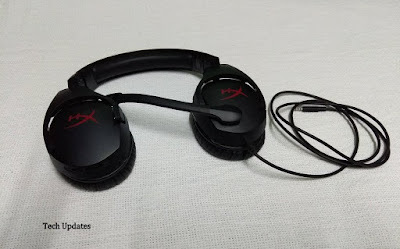 HyperX Cloud Stinger is multi-platform compatibility out-of-the-box with PC, Xbox One 1, PS4, Wii U and mobile devices.The Stinger comes with a standard 3.5mm jack split for mic and speaker to connect to your PC. The cable is not braided or flat, which means it tangles a bit easily. In case you want to game on your PlayStation or plug it into your smartphone or MP3 Player, then it also comes with a 3.5 mm 4 pole jack. HyperX Cloud Stinger is good gaming headset that you can comfortably wear for a long time without any issue also provide great stereo headset tuned for gaming, movies as well as music.Cloud Stinger is one of budget gaming headset out there.